Hello all & welcome to 2016! I know it’s been a while since I posted & I apologise for that, between a memorial, anniversary, 11 immediate family birthdays, Christmas & New Year, I’ve been run off my feet. St. Nicholas Day Workshop for PB & MG authors. To my complete surprise, shock actually, not a single person sent in their first 150 words for the workshop – Yup – Not kidding! b) there were two successful authors (in those categories) willing and able to offer feedback, authors who make a living out of their craft full-time. I am quite disappointed that no aspiring author in the PB/MG category thought a workshop might be of some value. But there it is – or rather could have been! – And on the same wavelength. #Nestpitch 2016. Again another apology – I have success stories to post for #Nestpitch2015, however, for the reasons above, plus the authors who have been successful are currently extremely busy, there has been no time to ‘chat’ and let everyone know the good news – I promise this will come soon! The main reason for this year Easter falls early, with Good Friday being March 25th. Given 2-3 other pitching comps will be running either just before, during or just after this time period, and given the issues we had in 2015 with submission cross-over (and lost submissions), I feel that this is too much to ask from author’s, agents and from those of us behind the scenes. I am planning to still run Post-it-Forward with Rhiann Wynn-Nolet (assuming people are interested) in early March as I feel this will help authors prepare for other pitching comps. #Nestpitch is NOT dead, but rather in hiatus & will return in 2017 ! The lack of interest in the December workshop & the availability of some of my #Nestpitch Team Members contributed to my decision; however I also have a personal reason. After A LOT of thinking and re-thinking, I have decided to self publish my WF. This has not been an easy decision, especially given the number of agents who requested partials or fulls. However, because of the the subject matter & the genre & category, there were only about 25-30 agents who best matched my MS. I sent out (in total) 23 submissions. From those sent I received requests for seven partials and five fulls. Three of the fulls resulted in R&Rs, however those R&Rs did not result in offers. I knew if I did not get an agent offer by September 2015, the novel would not have a hope of being printed before the end of 2017. If you read point (iii) below you’ll understand why 2017 was the latest I wanted this story to be published. I decided to try a handful of smaller publishers directly. I sent my MS to 7 and got an offer from a small publishing house. I was thrilled. But then something else happened. I’d seen/heard/read of several of my author friends who’d signed with smaller publishers… only to have the publishing house close. 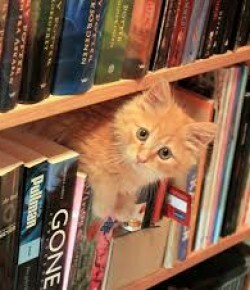 I am a supporter of small press – BIG TIME – but it concerned me nevertheless. And as it turned out, I too felt the sting of a small publisher fail – not for this MS but for another piece. Just as I was in negotiations to sign, a small press contacted me – one who’d accepted a short story of mine (for an anthology) in Nov 2014. First they said it was to be printed in early 2015, then mid 2015, then late 2015… then in October 2015 I was advised the anthology was cancelled. I considered this and what if the same thing happened to my novel? So I decided to go it alone – even as I knew this was perhaps the toughest, bravest and likely silliest course of action – even so, it felt *right for me. (iii) Because of the subject matter (which, while mostly set in modern-day Melbourne Australia, also deals with the Russian Revolution & the murders of the Romanov’s – and the 100 year anniversary of their executions is July 2017), I believe now and this coming year, is the time to strike with this particular novel. I have employed the services of Kate Foster & Lauren McKellar as editors. Kate & Lauren are authors in their own right and well established editors with a bank of authors they have worked with. Kate will edit it first in Jan-2016 and then Lauren in April 2016. I elected to have two editors because I feel the more eyes the better. In fact, I have already employed the services of two editors in the past. One with just the beginning of my MS and another to do a general read-through – I believe in professional eyes! Between Edit#1 & #2 I will be re-reading and asking a few of my BETAs to re-read, and then again after Lauren is done, May will be spent re-reading. I have also employed the services of an awesome Melbourne Illustrator, with amazing talent and a wonderful reputation as an illustrator, for the cover – Sunshine Herbert. I have purposely chosen an all Australian team, this was important to me, not only because of spelling/grammar/colloquial terminology, but also because these ladies will better conceptualise my images and therefore either offer better suggestions or make greater improvements. Plus, I do think it’s important to support local people wherever possible -we are a large country in mass and volume but small in numbers & we need to support each other. I am planning to have the novel ready for a launch date in 29th September 2016 and instead of #Nestpitch2016, this year I will run a series of “my path to self publishing” blogs where I will discuss everything from BETAs, to covers, to marketing, costs, to preparing for failure as well as success. I have been given permission from Kate, Lauren & Sunshine to discuss fees in generalities (every job is different after all). The figures will be very strong guides and will offer excellent potential cost markers for those of you looking to follow the same route. I will also be posting links to their sites as well as sites for other professionals I have used and/or would be happy to recommend, both in Australia and the US. I will begin the SERIES in Feb-2016 and will be as honest as I possibly can about time frames, financial costs, marketing strategies, editing and other services and so forth. She had no marketing strategy, had never heard of Netgalley, or Smashwords, intended to use stock-standard free-clip-art for her front cover and wasn’t even sure what an ISBN was or why she needed one. As for a marketing campaign and professional reviewers, she had no idea she needed to create a marketing strategy, saying “Doesn’t Amazon market it for me?” or who/what professional reviewers were and why they need to be sent pre-copies of a novel at least 3 months in advance. I listened with interest and then proceeded to burst her bubble, while offering advice, connections, links etc. to people and sites that could/would help her. This is what got me thinking about writing a regular “my path to self publishing” blog post update – all the way up to and including the launch party. The new name eludes me for now. I’m attempting to be clever (because there are few things I am more vain about than my mind – truth! ), but given I named my first cat Blackie (she was all black) and thought it was very clever, this new name could take a while. OK I was nine at the time, so perhaps that makes Blackie seem more witty – still if anyone has any suggestions – bring ‘em on! And before I go, a quick note to remember David Bowie & Alan Rickman. I had planned on posting this blog days ago, but those two deaths have had an impact on me; as I know they have had on so many, many of us, and I needed time to let their losses sink in…& be accepted by both my brain and my heart. Farewell boys, I never knew you yet I loved you both! Messrs Rickman and Bowie were so much more than Snape & Ziggy, yet for many, these are the images which first form of these two wondrous talents. Did Queen Victoria & Prince Albert Kill the Romanov Royal Family? Shameless self promotion I’m afraid, so if this doesn’t interest you, turn away now. As many of you know, I’m a know-it-all when it comes to history. I can’t read enough books or watch enough programmes and can’t talk enough about history. All history. Everything from Native American, to Colonial Australian to European. Additionally, I’m a nature and science buff-freak. Ask me about the mating rituals of lions, go on, ask me, ask me… or genetics, or seasonal crop planting by the moon or bio-dynamic farming, or comets… and I’ll make you a coffee while I discuss the link between Halley’s Comet in 1910 and the beginning of WWI. I’m also ‘that person’ who comes up with the wildest theories and then sets about proving my hypothesis or discovers other peoples theories and then sets about confirming or disproving them! 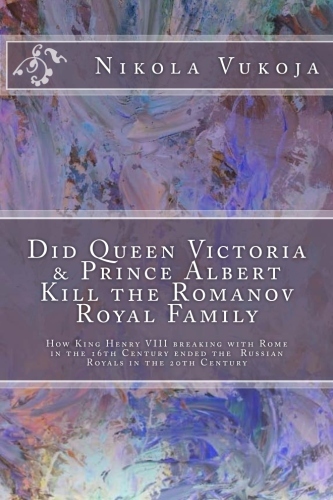 TITLE: Did Queen Victoria & Prince Albert Kill the Romanov Royal Family? It’s not available yet, but will be in the next few days. Everyone knows the story of the Romanov family, the love story of Queen Victoria & Prince Albert & that King Henry VIII had six wives with more than one losing her heart & her head. What if I was to tell you that they are all linked? And what if I was to tell you that the Romanov tragedy didn’t start with the Russian Revolution, or Stalin, or even WWI and that it really started with King Henry VIII and Anne Boleyn? I will be offering for as little as Amazon allows (the paperback version looks like coming out at $5.50 USD which is 5c off the cost to me print price). I’m waiting for an OK from Amazon Kindle before going live & am hoping the Kindle version can be offered for well under $1.00 as this is not a ‘money making’ project, but rather one from the heart. What I’d like to achieve from this book is to put forward the historical facts and evidence and then put forward my theory, based on all the evidence, and then wait to see what others have to say on the matter. I’m terrible at promoting myself, I always feel like I’m selling door-to-door vacuum cleaners! Therefore I promise not to flood my posts with updates and ads, although there might be the odd-one here and here. FYI – yes the cover is original. I took one of my paintings, manipulated the colour scheme to best match the font and cover colour and then put the two together. I like it but then again I’m fond of all shades of purple & blue so of course I would! Thanks for reading this and if you happen to buy the book, thank you for that also.